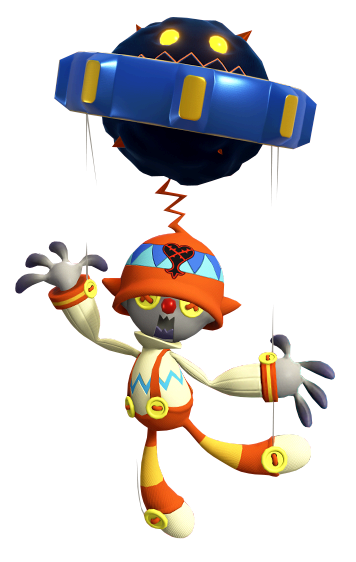 The Marionette is an Emblem Heartless that appears in Kingdom Hearts III. The Marionette is quite weak on its own, but is able to animate the various toys around the store, including Beasts & Bugs, Patchwork Animals, Air Droids, Bouncy Pets and Supreme Smashers. One also animates Angelic Amber and another possess Buzz Lightyear. This page was last edited on 3 March 2019, at 22:40.